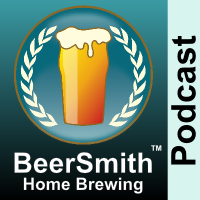 This week John Holl joins me to discuss the Craft Beer revolution and also his new book “Drink Beer, Think Beer”. Today my guest is John Holl, author of the new book Drink Beer, Think Beer (Amazon affiliate link). The Second Georgia Craft Beer Festival was held on Saturday, October 25 in Atlanta’s Candler Park organized by the Georgia Craft Brewer’s Guild.